Hawkins and Apollo House redevelopment plans unveiled. The Office of Public Works and Tom O’Brien and Simon Coyle of Mazars as Joint Receivers to Cuprum Properties Limited, appointed by NAMA, are delighted to announce today (Friday 3 June), that planning applications were lodged with Dublin City Council for the redevelopment and regeneration of key city centre sites on which currently stand Hawkins and Apollo House. Hawkins House is routinely described as the ugliest building in Dublin, and won the title in a public poll on Archiseek in 1998. 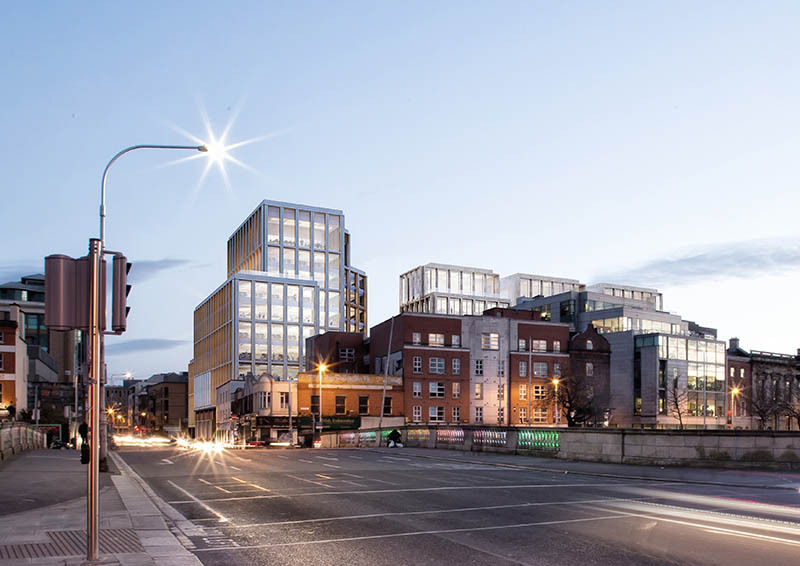 The applications were lodged with Dublin City Council yesterday separately but concurrently with each other and the two sites together represent one of the most significant redevelopment proposals in the heart of Dublin City Centre. The collaborative and unified approach taken by both owners to the public realm and the urban setting of Apollo House and Hawkins House, will deliver a significant benefit to the city. 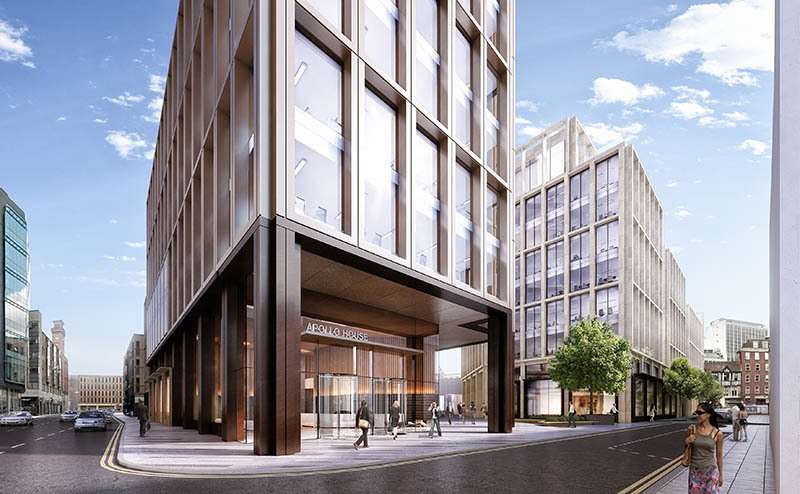 The scheme optimises the development opportunity presented by Hawkins House and the adjoining Apollo House sites and the joint design team have delivered the planning applications on the two sites in a fully co-ordinated manner, which maximises efficiencies in both schemes. Hawkins House dates from 1962 and is located on the site of the former Theatre Royal. The proposed development consists of the demolition of the existing Hawkins House building and the construction of a commercial office building, including the provision of café/retail units and associated services. Apollo House dates from the late 1960s and is located on Tara Street and Poolbeg Street. The proposed development consists of the demolition of the existing Apollo House and the construction of a commercial office building including the provision of café/retail units and associated services. The area has been identified in the Dublin City Council George’s Quay Local Area Plan as an area of significant economic importance to the city, the region and the State. 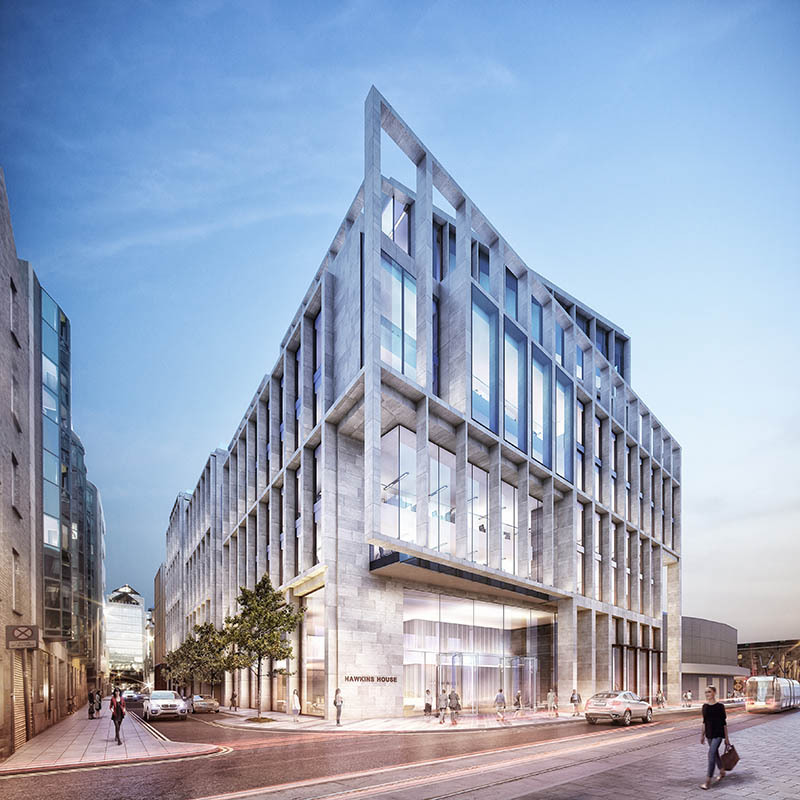 In addition to creating a high quality environmentally sustainable new office quarter in the city, this scheme also presents a unique opportunity to deliver social dividend in the public spaces, active ground floor uses and the opening up of an impenetrable block between Tara Street and College Green. 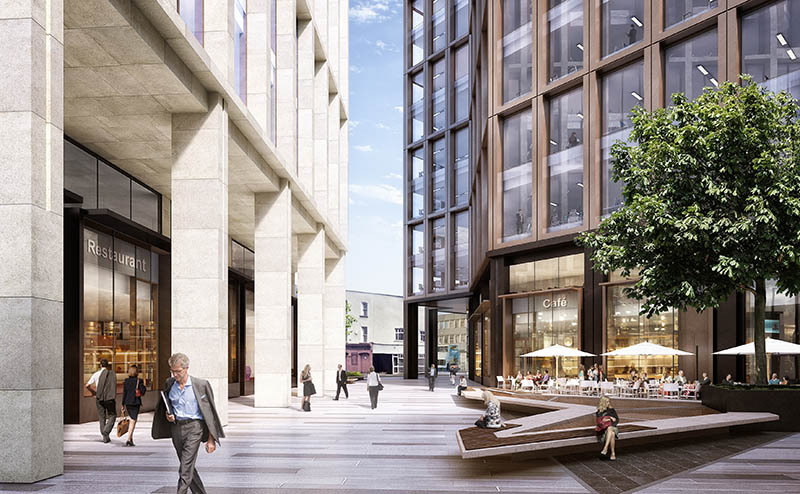 The public realm will be significantly enhanced through development of both schemes, providing a new public plaza in the centre of the block, opening up new pedestrian routes, opportunities for café/restaurant commercial activity at ground floor levels and an appealing vibrant working environment for the office occupiers. Speaking today, Minister Seán Canney, Minister of State with special responsibility for the Office of Public Works and Flood Relief said “I am delighted that my Office, the Office of Public Works, has worked in close co-operation with the Receivers to Apollo House in developing these planning applications. 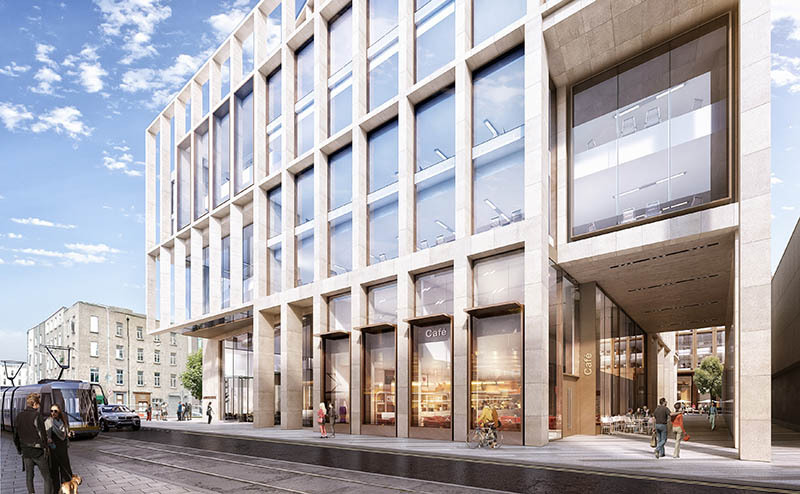 This development represents a once-in-a-generation opportunity to create a new vibrant commercial and government office quarter in the city of Dublin”. Brendan McDonagh, Chief Executive of NAMA, said: “This is an exciting project to revitalise key sites in Dublin City adjacent to Trinity College and is consistent with the Receivers’ aim to maximise the return and to deliver much-needed high-quality commercial space that will promote investment, and create jobs”.